A great many of today’s cars are based on platforms, or convenient collections of structural components used to build multiple models. In concept, think giant Lego set for automotive engineers. The platform approach allows costs to be spread across different vehicles in ways that aren’t obvious to customers. Few buyers would have guessed that the striking first-generation Audi TT, for example, shared a platform with the contemporary Volkswagen Golf. The result was a sports car that didn’t drive nearly as keenly as its looks suggested. But if that hidden sharing hadn’t been the case, Audi might never have been able to afford to develop the TT at all. Today, the most sophisticated platforms, such as MQB, the platform under the current seventh generation Golf (as well as various Seat, Skoda, and Audi models), can cope with multiple adjustments in length, width, wheelbase and track, making it harder than ever to spot the hidden relationships between one car and another. Mercedes-Benz, evidently, hasn’t used one of those state-of-the-art platforms to build its B-Class. 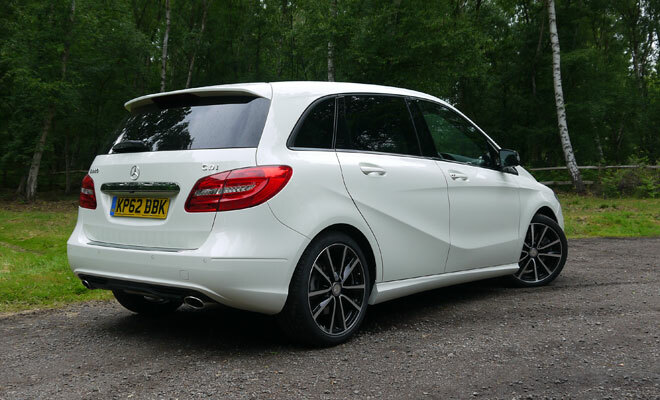 Because it’s pretty obvious it shares rather a lot with two other front-wheel drive Mercedes, in the shape of the latest A-Class hatchback and CLA four-door coupé. Park the trio next to each other and the similarities are as clear as frizzy red hair. The most obvious family trait – the visible styling – is no doubt deliberate. But the more subtle aspects of kinship probably aren’t quite so welcome, such as the identical relationship between the wheels and the door apertures. If you were going to build a versatile compact people carrier, you probably wouldn’t start with the same basic layout as a sports hatch and a svelte coupé. And speaking personally, I also wouldn’t fit lowered suspension to a multi-purpose vehicle. Or choose 18-inch alloys shod with 40-profile run-flat tyres for a car in which I might reasonably fetch the shopping, given that I prefer my eggs to make it home unscrambled. But these things come fitted to the B-Class I’ve taken for a spin, a B 220 CDI BlueEfficiency Sport. If I were going to go tearing around in a manner that matched the wheels of this car, I’d probably choose the A-Class. It looks the part, being a sports hatch and all, and more importantly, it’s at least £1,000 cheaper than the B-Class. 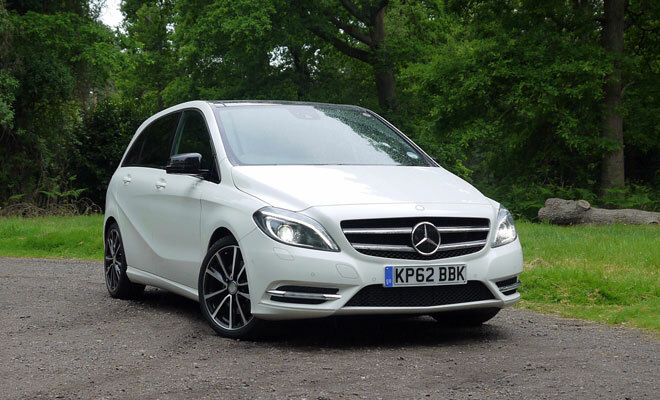 With a base price of £27,880, this particular B-Class sits firmly at the whopping end of smallish people carriers, and that’s before the wobbling bulk of the options list hoves into view. 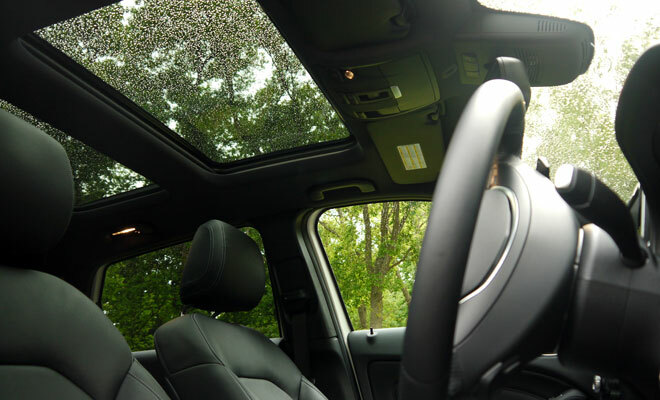 Even simple practicality costs extra – £200 for under-seat boxes, a sunglasses holder, folding tables for rear passengers and a brace of seat-back storage nets; another £515 for a sliding rear seat with through-loading capability. 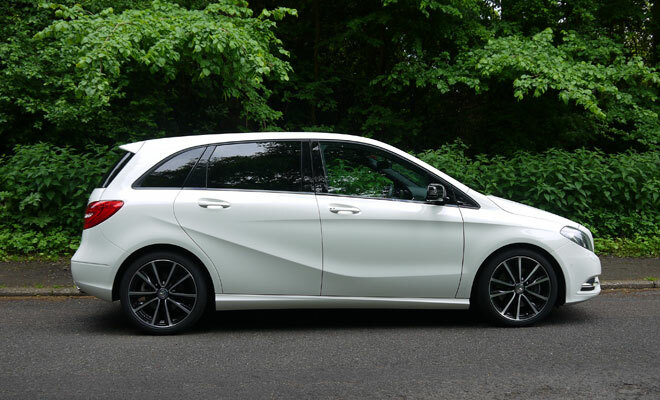 Add leather electric sports seats, electronic safety gizmos, parking assistance, a huge sunroof, a stereo upgrade and online multimedia connectivity and our modestly sized MPV costs £38,275 as tested. An entire throatful of gulp, in other words. 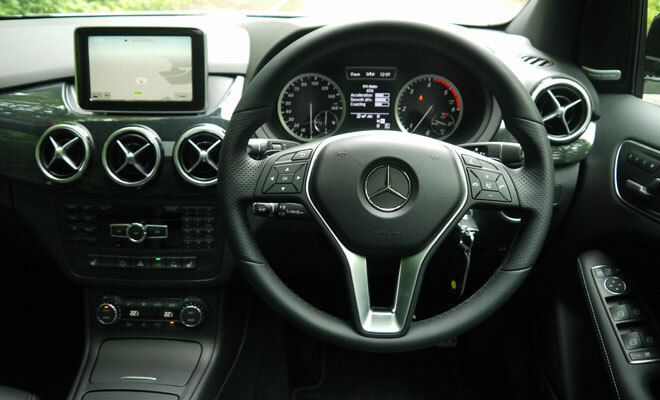 Still, this pricey B does come with a large three-pointed star and isn’t bad to drive. The seating position is excellent, all-round vision is top-notch, and the seven-speed automatic gearbox is both smart and effortless. It has sport, economy and normal shift options, too. The suspension in Sport trim may be 15mm lower than standard but it’s still described as a “comfort” setup in the manual, meaning that it has a little bit of mellow forgiveness in it where, say, the A-Class AMG Sport appears to have only girders, concrete, hobnails and anvils. The lowered B will still pummel its way over rough roads but it won’t physically blur your vision. 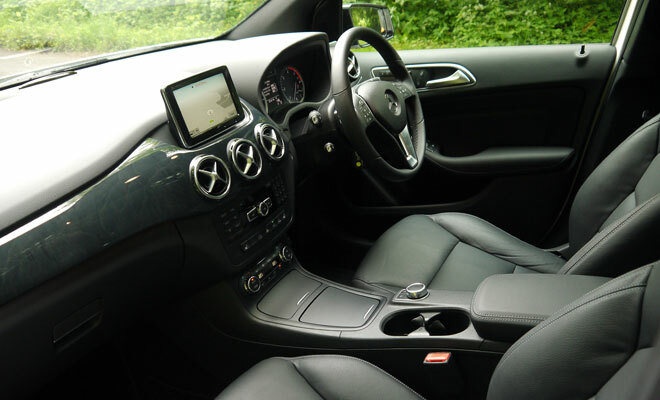 The interior looks lovely – better resolved than the A-Class, especially around the centre screen – despite sharing eye-catching details like the jet-nozzle air-vents. It generally feels good to the touch too, though you can still find iffy pieces of plastic down by your knees or ankles. With a CO2 score of 120g/km and combined cycle economy of 61.4mpg, my particular test vehicle would never be the greener motorist’s first choice, even among the B-Class range. It can race to 62mph in 8.3 seconds, however, which is pretty quick for a people carrier. For the best fuel efficiency, opt for the B 180 CDI with manual gears, to earn a 108g/km CO2 result. Though if it were my money I’d probably be more tempted by the 112g/km, 67.3mpg and 7-speed auto of the B 200 CDI SE. Actually, if it were my money I probably wouldn’t buy a B-Class. If you want to carry four adults in comfort at high speed, with a large boot for their stuff, this is a great car. Bank robbers take note. For everyone else who wants a people carrier – to transport kids and dogs and buggies and wet-wipes and shopping – it’s hard to imagine how this might fit the bill.